Some of Christmas’s best memories come after the dinner is done, the family is all together around the couch, and the aroma of ponche Navideño fills the room. It’s a time of relaxation, comfort, and getting the best stories possible out of tia. If you want to make sure the juiciest tales are revealed, make sure that your ponche comes with a little extra kick. 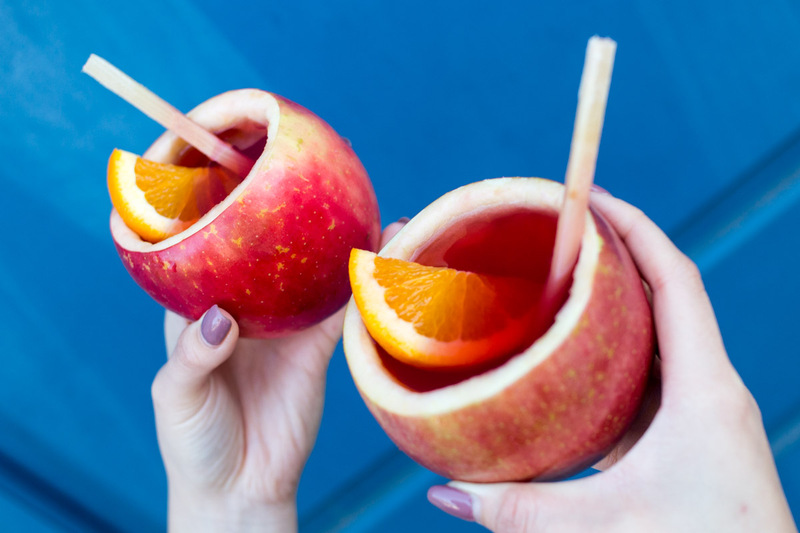 This version, served in an optional apple mug you can snack on, comes with a shot of gold rum packed into each cup to keep the fun times rolling all night long. You can find all of the ingredients you need for this grown-up ponche Navideño at Northgate Market. There will also be a holiday cookbook available with all of the recipes you need for the celebrations to come. 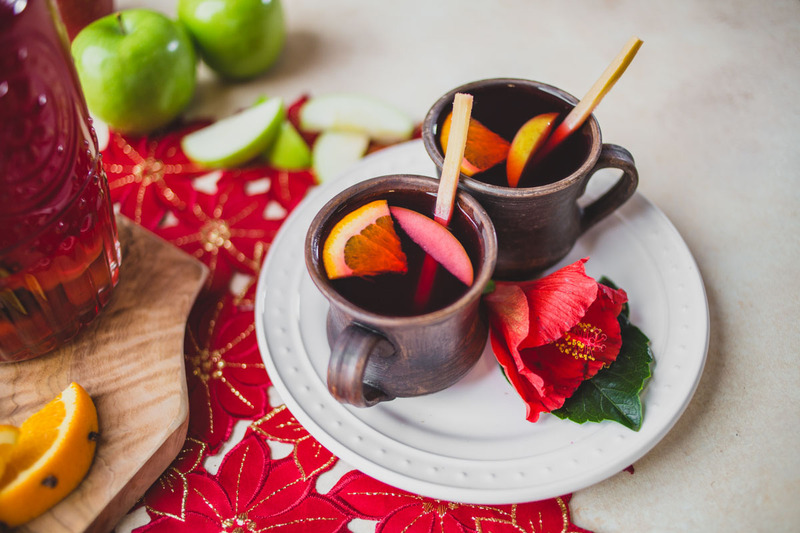 If you’re a huge ponche Navideño fan and want to get a pot going already, though, you can peep the full recipe for this rum-laden version below. 1 sugar cane stick, cut into 4 inch long pieces. Get some more for garnish if you can, but if not, cinnamon sticks are also great. Use the pointed ends of the cloves to insert them into a whole orange, leaving the entire fruit studded. Cut the orange into wedges, and also cut some slits into the tejocote. In a large pot, bring the hibiscus flowers, cinnamon sticks and water to a boil over medium-high heat. Reduce heat and simmer for 10-15 minutes, until your water is a deep pink color. Remove the hibiscus flowers, leaving the cinnamon sticks inside to infuse further. Add the orange wedges, tejocotes, apples, pear, sugar cane, and brown sugar to the pot and stir. Simmer for at least 30 minutes, stirring occasionally. 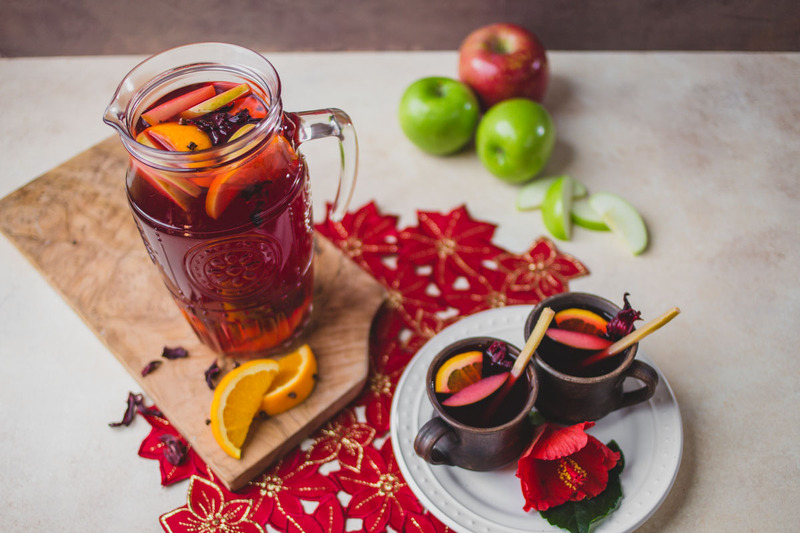 When the ponche is cooking, prepare some apple “mugs” to serve the festive punch in. Cut off the top of each apple, and use a paring knife to score the rims. Scoop out the center of the apple using a spoon or melon baller. Coat the inside of the apple with lemon juice to keep it from turning brown. To serve, ladle the punch into an apple cup, making sure each cup gets some slices of fruit as well. Garnish with an orange slice, fresh hibiscus flower and sugar cane (or cinnamon) stick. If desired, add 1 ounce of gold rum to each cup to give the punch an extra kick. Created in partnership with Northgate Market.